Nadine Kuipers, University of Groningen. 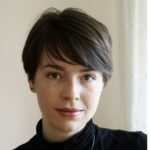 Blog-post author, Nadine Kuipers, University of Groningen, NL. Finding relief of sickness can be a compelling motivation for undertaking a pilgrimage. Millions of Catholics find their way to healing waters of Lourdes each year, while Sufi Muslims visit dargahs in hopes that they will be cured of mental afflictions. In twelfth- and thirteenth-century Britain, pilgrims would drink to their health with the diluted ‘blood’ of St Thomas Becket, which could be bought in a vial at his shrine in Canterbury. Yet, on the other side of the same coin, a pilgrimage could also take a serious toll on one’s physical constitution. Whereas inland trips to nearby shrines and sanctuaries were relatively safe, the danger of contracting a serious illness on a long-distance pilgrimage was all too real. In his 1565 travelogue, Adriaen de Vlaming describes how one of his companions died in Bethlehem and notes that “many more, who were also ill, should have stayed at home”. Arent Willems, in 1525, mourns the loss of two fellow pilgrims, who died shortly upon arrival in Jaffa without ever setting a foot ashore. Recent archaeological findings, moreover, suggest that a medieval English pilgrim contracted a foreign strain of leprosy in the Holy Land and died of the complications back at home. Medieval people were certainly concerned with their own health and wellbeing, as the abundance of medical recipes in household manuscripts attests. It thus seems likely that pilgrims would take medical precautions to reduce the risks of falling ill en route to Jerusalem. However, we know little about the possibility that pilgrims took medical texts with them or whether medical information was brought back from the East. 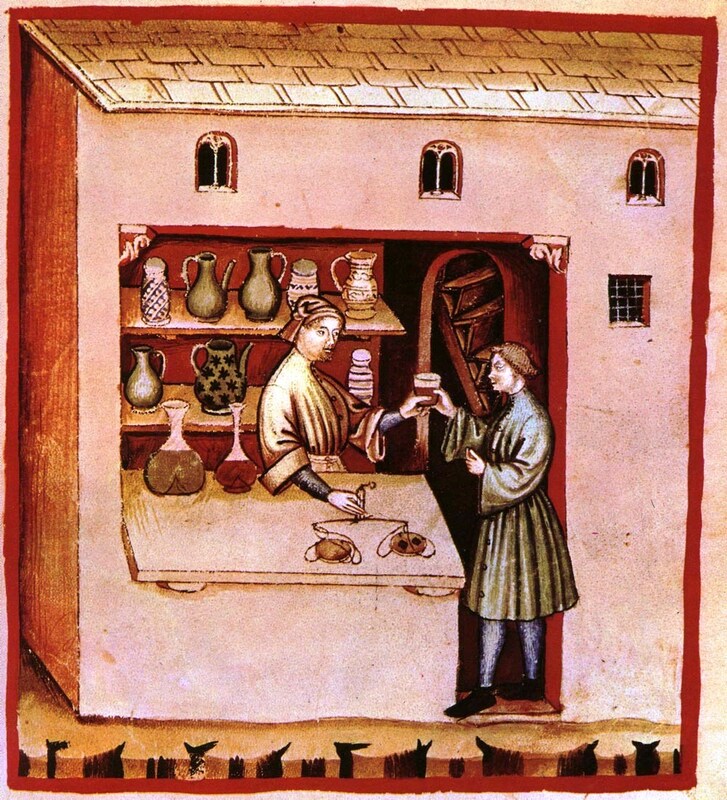 A recipe for a “drink of Antioch”, which can be found in several medieval manuscripts, might either be a relic of the crusades or a feigned remedy that invokes the authority of Eastern medicine. Moreover, as Anthony Bale explains in this recent blog post about a medical miscellany containing a pilgrimage itinerary, it is near impossible to ascertain whether its owner actually travelled to the Holy Land. Several pilgrimage accounts do offer some insight into health and safety precautions that were taken before going east. William Wey (1456), for example, suggests purchasing medications and a chamber pot in Venice in case one would become too sick to climb to the upper galley of the ship. A contemporary account, now at the Wellcome Library (MS 8004), lists good resting places, spas, and churches with healing relics that can be visited along the way. Joos van Ghistele (1481-1485) is adamant that pilgrims must pack purgatives and dried rhubarb root before going on board, and restock their medical kit at foreign markets. Venice was the best place for this: Jan Aerts (1481) advises to buy medicinal spices and laxatives there, as well as a panacaea made from diluted violet syrup. In his 1520 account, Geert Kuynretorff urges his reader to visit a professional physician before leaving the Venetian harbour. 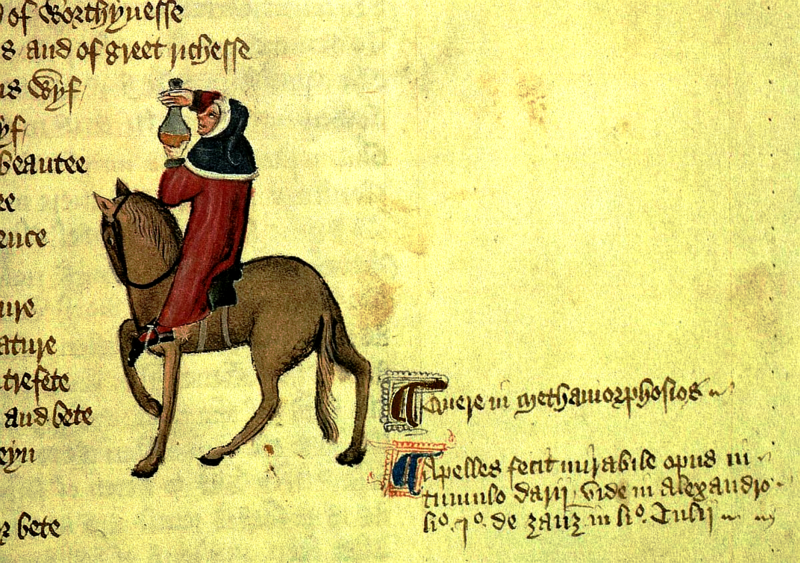 The pilgrim must ask this doctor to prescribe medication against fever, diarrhoea, and indigestion, and Kuynretorff provides a number of recipes that can be taken to the apothecary. Some high-profile travellers did not wish to take any chances and had their personal medics write instructions for them. King Philip VI of France, for instance, ordered a health regimen that was particularly tailored to him visiting the Holy Land as a ‘senior’ man (aged forty-two) in 1335. The Italian physician and inventor Guido da Vigevano, who is perhaps best known for designing the first prototype of the automobile, compiled the work which now known as the Liber conservationis sanitatis senis. The first half of the Liber follows the ancient doctrine of dietetics and concerns finding the right balance between food and drink, sleep and wakefulness, motion and rest, replenishing and emptying. The second half of Vigevano’s tract describes the influence of the air, accidents or ‘moods’ of the soul, prevention of afflictions of the eyes, ears, teeth, and memory. Lastly, Da Vigevano addresses the harmful liquids and food that are to be avoided during travel. Despite this well-researched medical advice, no records attest that the king ever made the journey. The tract survives in two manuscripts. The first, Bibliothèque nationale de France, Lat. 11015 contains another of Vigevano’s works about warfare in Outremer and can thus be placed in a crusader context. The second, Biblioteca Apostolica Vaticana, Pal. lat. 1251, is a collection of medical writings and includes other gerontological works, suggesting that the compiler was mainly interested in medicine. It is thus unclear whether Da Vigevano’s tract was ever read in preparation for an actual pilgrimage. Another medical tract that was likewise made at the behest of a rich patron is Qustā Ibn-Lūqā’s treatise for the pilgrimage to Mecca, written for a secretary of the caliph. Like Da Vigevano’s regimen, this treatise is informed by the works of Galen, Avicenna, and Hippocrates, but it also contains advice that is specific to the Middle-Eastern climate, fauna, and landscape. Ibn-Lūqā (820-912), a Christian scholar from Baalbek, pays particular attention to the sourcing of water, improving the quality of contaminated water, and quenching one’s thirst in the absence of drinking water. 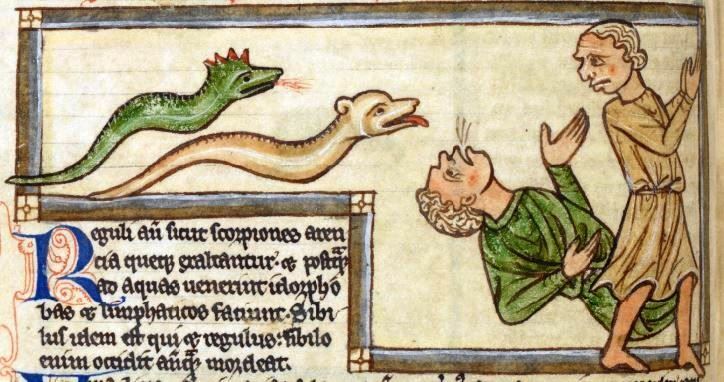 Furthermore, the scholar discusses the prevention of parasites such as roundworms, a prophylactic against snakes, and the treatment of snakebites and the stings of other vermin. Moreover, he writes about curing eye- and earaches caused by fluctuating temperatures and the dusty desert wind. Most of these ailments can be prevented by a turban, if worn correctly. Yet, in case one suffers from earache caused by the heat, dripping one of various substances into the ear will prove effective: lukewarm egg-white or lamb-gall mixed with rose oil, for instance, or olive oil in which earthworms or molluscs in their shells have been cooked (though honey and almond-oil will work equally well). One chapter from Ibn-Lūqā’s regimen will have sounded more appealing to pilgrims regardless of their destination: different kinds of foot massage (except hard rubbing, which is only good for thick-skinned or idle people who have eaten too much) he argues, are “useful for someone who has been walking much or standing still frequently”. Ben Wasser, Dit is de pelgrimage van het Heilig Land en daaromtrent, (Hilversum: Verloren, 2014), 112. Marilyn Nicoud, Les Régimes de Santé au Moyen Âge: Naissance et Diffusion d’une Écriture (Rome: Publications de l’École Française de Rome, 2007), 226. Qustā Ibn-Lūqā’s Medical Regime for the Pilgrims to Mecca, ed. And trans. Gerrit Bos (Brill: Leiden, 1992), 39.